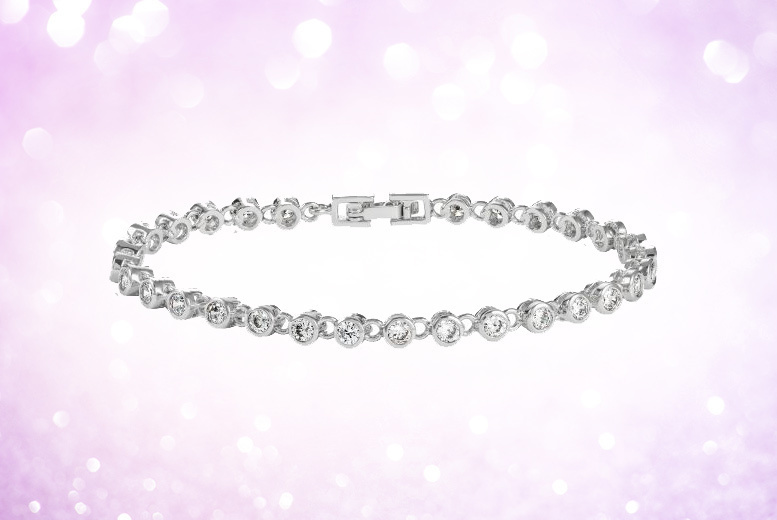 Get yourself an crystal tennis bracelet. Add an elegant and sparkly addition to your jewellery collection! Encrusted with crystals from Swarovksi®. Arrives in a luxury velvet jewellery pouch. A lovely gift for yourself or a friend!